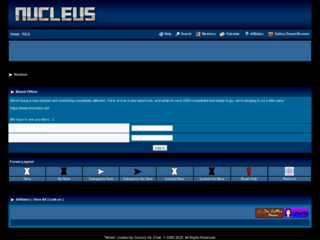 Nucleus is a general discussion community full of friendly faces and plenty of discussion topics! Thanks for your interest. You'll get a good synopsis of the merits of our site by viewing this page. Please give us a boost and visit Nucleus at your earliest convenience. Be the first to leave a comment for Nucleus! Click the rocket above to Boost Nucleus!